This fountain was installed outside of our guest bathroom. I have had several people ask me, how it was created. 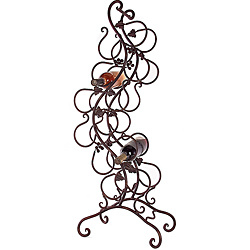 It starts with you finding a wine rack that suites your taste and size. The larger the rack, the larger the catch basin will need to be. The same goes for the pump size. This rack is 6 feet tall and we used the 600 gallons per hour pump. For cost, convenience and ease of use, I used common elements used in drip irrigation. Below is a picture of the pieces which will be available at most hardware stores and big box stores that sell irrigation supplies. 1. 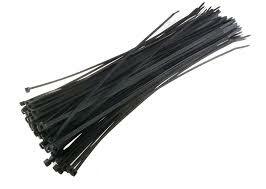 Cable ties – These will be used to secure the half inch main line (#2) to the back frame of your wine rack. This is the main feed line which is run around the back frame of the wine rack. It is secured to the rack with the cable ties. It will serve as the main distribution system that will feed the individual ¼ lines that go to each bottle. 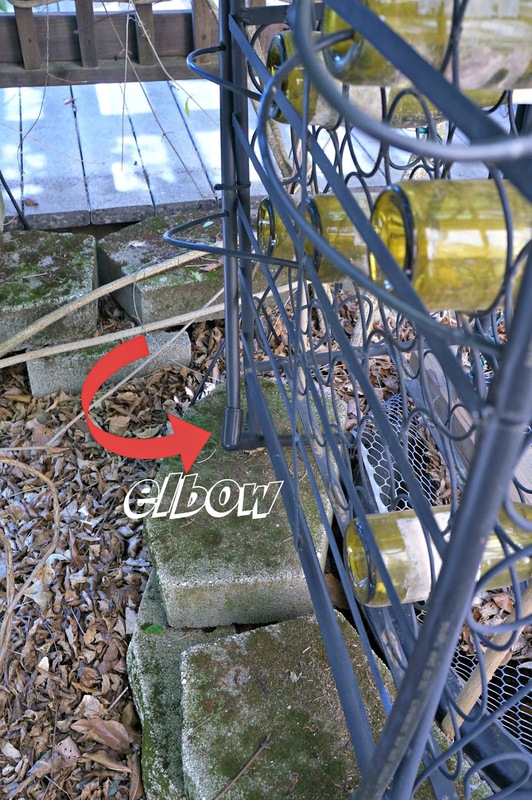 If you have a square wine rack, you use the half inch elbows to route the half inch line around the wine rack. 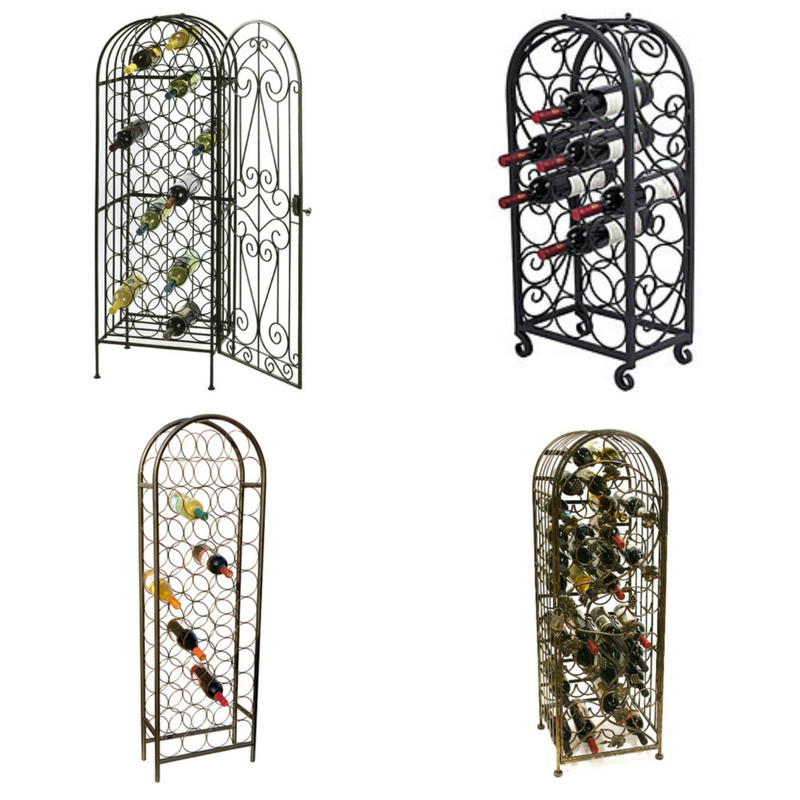 If you have a curved wine rack, you may not need these. It is important not to get kinks in the main half inch line or you won't get good flow to the wine bottles. You may need several to get a good routing of your main line. You will see this later when I discuss the pump, but I like to create a loop with the main half inch line. If you have a single line that dead ends, those wine bottles being fed near the end of the line may not get enough water. If you have a small fountain this may not be needed. 5. 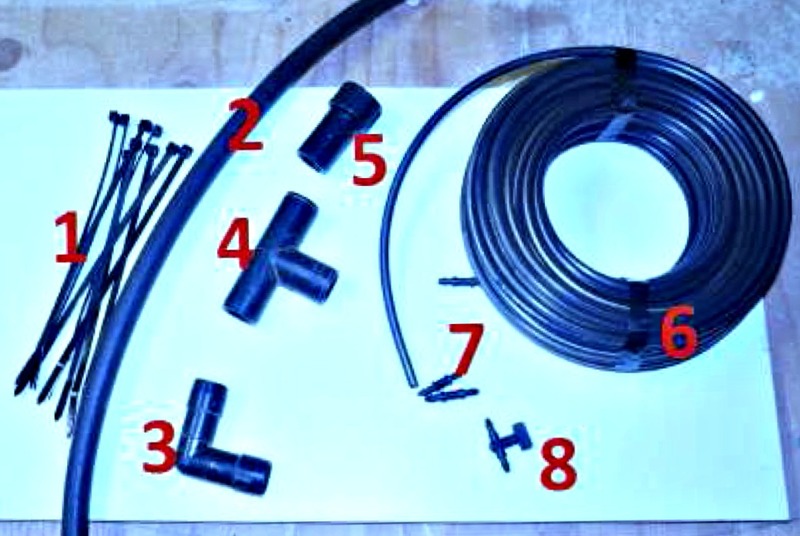 Hose coupling – This will vary depending on your pump and you may need help at the hardware store getting couplings to link the pump to the half inch main line. I will show how my pump was connected later. 6. 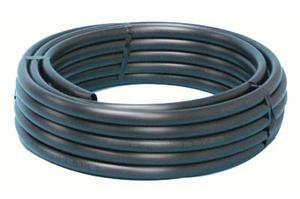 Quarter inch tubing – This is sold in bundles of 50 feet or more and also comes in different colors. Black is standard and blends in well in most situations. These are little connectors that are used to connect the quarter inch tubing into the half inch main line. You put one end of the barb in the quarter inch tubing and the other into a small hole that is punched into the half inch main line. 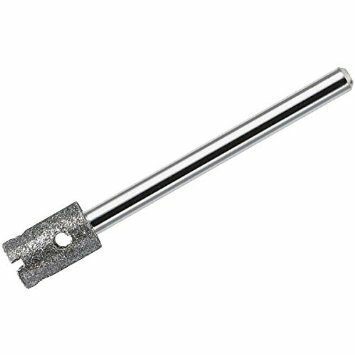 This is the small pointed tool that you will need to buy that creates the hole in the half inch line. 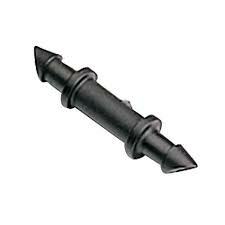 You then push the barb into this hole until it snaps in place. You might want to buy some plugs, if you make a hole by mistake. The other end of the quarter inch tubing will be pushed into the wine bottle hole that you will have drilled. (coming up). Use extra tubing as you will want to move the bottles around and the extra distance will need some slack. You can always cut the tubing down when the bottle has found its home. 8. 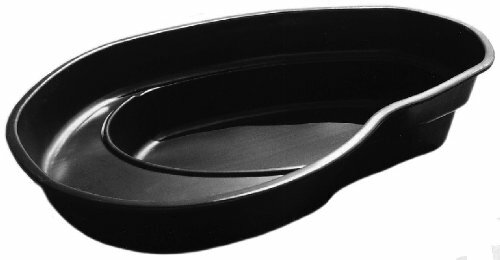 Mini valve – This is optional. Since you will be tapping the main line at different points and different heights, the amount of water coming out of each bottle may vary. This little valve can be spliced into the quarter inch line and you can restrict the flow of a bottle that is getting too much water. You can always add this at the end, so see how things go without these little flow control devices. 9. 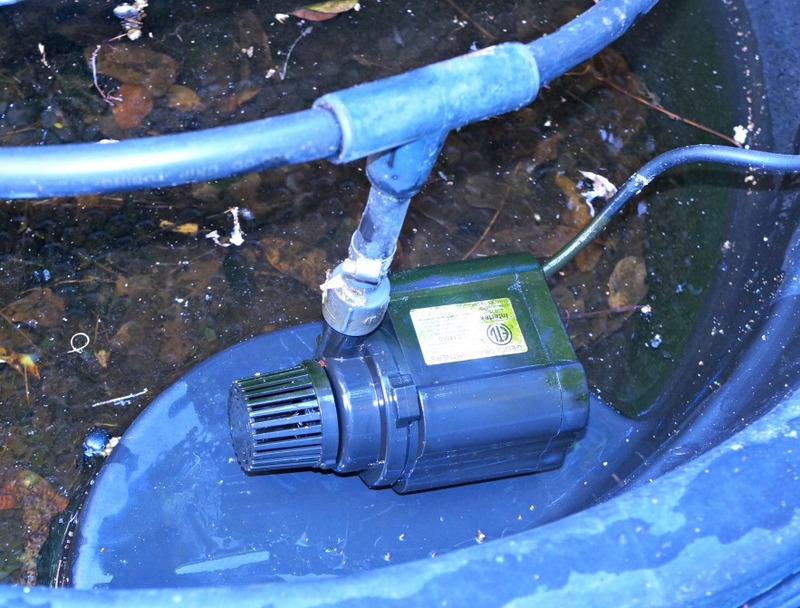 Submersible water pump for fountains. 600 gallons per hour or more..... Depending on your fountain. 10. Catch basin...tub...Like I suggested, the size of the basin depends on the size of your wine rack rack. So that is what you will need for the water system. Using drip allows for a very easy to use system that is very inexpensive. Attaching your half inch main line is next. In figure 2 at the bottom, where the red arrow is pointing, you will see the half inch main line coming from the pump where I have used an elbow to make the turn up the back side of the wine rack. The main line runs around the perimeter of the wine rack and the black cable ties are used to secure it. You will also see the quarter inch bottle tubing coming from the main line to one of the bottles. More on this later. Figure 3 shows both ends (I did a loop) coming together at a Tee. From the bottom of the Tee I connect to my pump. I took my pump and a piece of half inch main line to the hardware store and found some connectors to make the connection. Since pumps come with different size outlets based on the pump you have chosen this will vary and you will need a trip to the hardware store for some help. Bring your pump and the half inch main line that represents what is coming out of the Tee to your local hardware store. 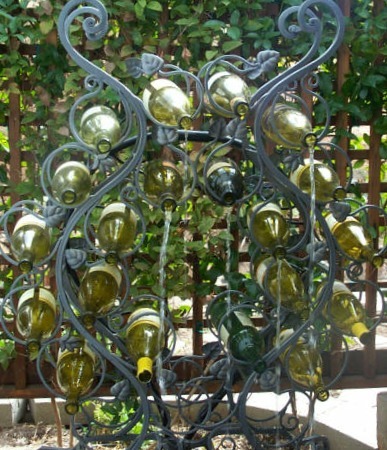 Now your wine rack needs some bottles. How many bottles you want dripping out water is a matter of personal taste as well as how many bottles you want in your rack total. I didn't want a full rack of bottles nor did I want every bottle to be dripping water. You can always add more. I decided I would have about 12 bottles dripping and an equal number or greater just empty. You can play with the arrangement when you are placing the bottles. As I mentioned earlier, you leave the feeder lines long so you can move things around until you are happy with your creation. You will need a 1/4 diamond drill bit for cutting glass. Find a small bucket somewhat shallow bucket for your wine bottle to rest in. I half filled my wine bottle with cold water to keep things cool while I drill. 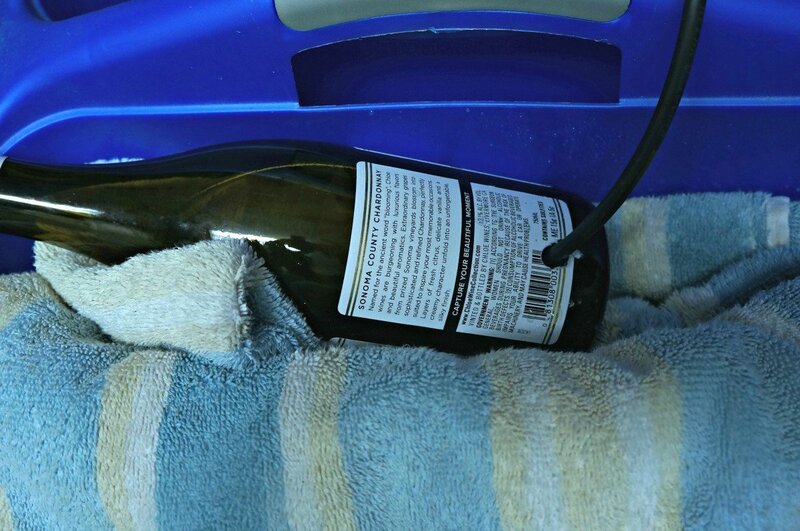 I used a towel to set the bottle an an angle with the water toward the bottom. You can see my diamond drill bit at the location I plan to make the hole. I have a spray bottle of water that I will use at the point of contact to keep things cool so the glass won't fracture and will be easier on the drill bit. Getting the hole started is the hardest part as the bit will want to walk around. Starting at the bottom of where the label is and not on bare glass, helped get it started. Wear gloves and safety glasses and don't be in a hurry. I drilled this hole in less than a minute with no problems. You may get one that fractures, hence the gloves and the bucket. If it does break it is not explosive, just annoying. 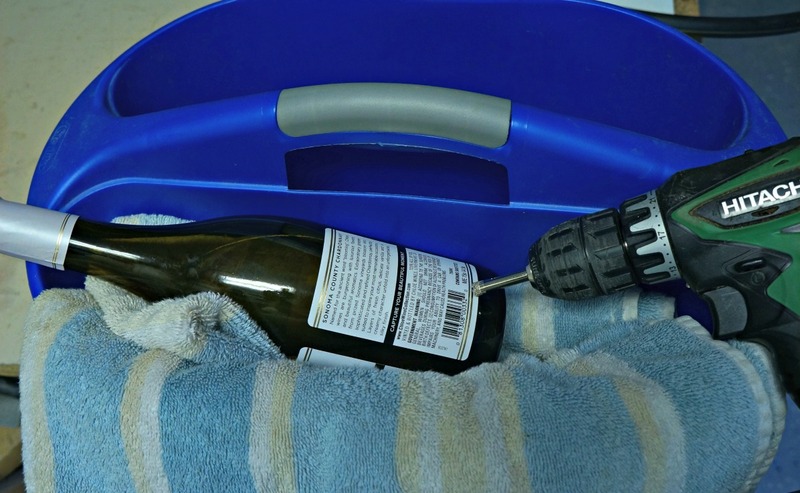 There are several Youtube videos you can watch on drilling holes in wine bottles for extra help. Figure 5 is a finished bottle with the quarter inch tubing just as an illustration. Next comes the fun part of placing your bottles in the rack and running your tubing to them. 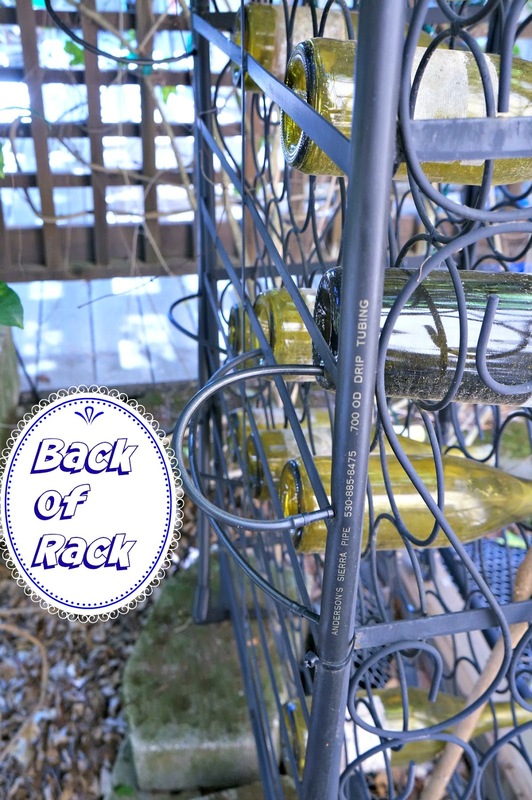 Place the wine bottles that you want dripping in the wine rack. Some high low and in the middle. Using your puncture tool, make a hole in the half inch main line. 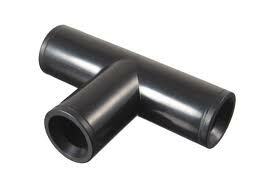 Put a barb on the end of a length of quarter inch tubing and push that into the half inch main line started hole. 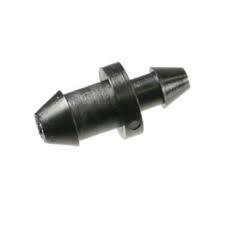 Place the other end of the quarter inch tubing into the bottom of the wind bottle hole you drilled. I would leave a lot of slack at this point since you will want to move the bottles around when you see how the water is flowing. My husband added a light and put the fountain on remote control. 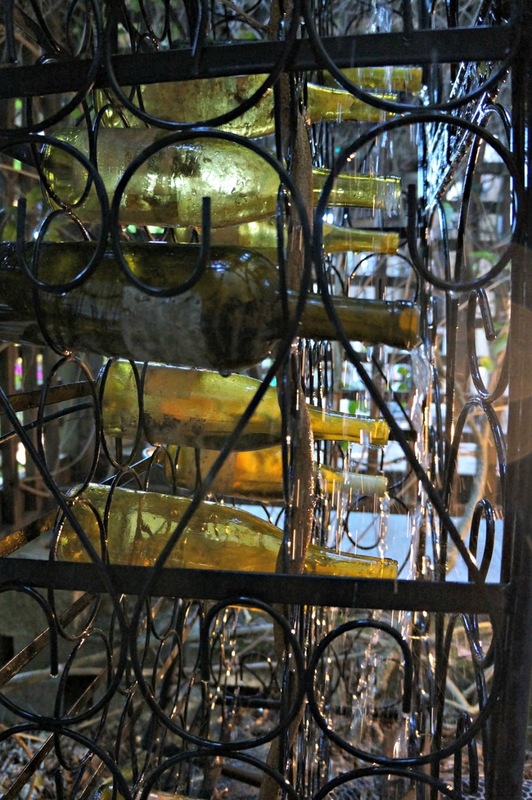 Here's a picture of the water flowing from some of the wine bottles. This is the first one, my husband made. It was made with two curved wine racks...a lot smaller. It can be found at Overstock. My son made this one below, complete with a wine barrel. Some are at Overstock or Wayfair. I absolutely love this, Linda, and I love fountains! You are both so creative!! You have a little paradise there. Very thoughtful of you to share the how- tos. Oh- that is SUCH a great idea, Linda. Functional and FUN! Love the whole concept. That would be so neat with just one type of collected bottle, too. I had a friend that collected all cobalt bottles (Blue Nun wine, I think)-just thought that would be cute, too. so much work, but the result is fantastic! Linda, that is such a clever idea! Your hubby did an awesome job putting this together! What a special treat for your guests! You and your hubby are both so talented, Linda! 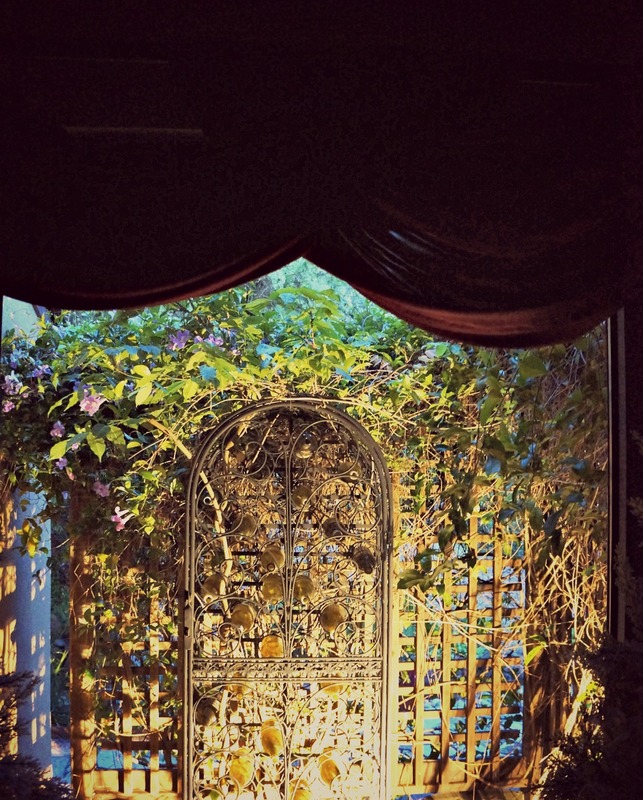 I would love to be a guest at your house and enjoy all the ambience that you have surrounding you. Wow so clever. Love it Linda. This is awesome! I am sending this to my hubby, I know he will love it too! Wow! Both you and husband so creative! They are all so lovely and I especially love the curved slender one. Linda, what a creative project! Thank you and your hubby for sharing the instructions! Hi Linda, love this wine fountain. I will show this to my hubby since he loves making fountains like this and he will enjoy your post too. What a great addition for your guests to enjoy. Adding the lights is perfect. Thank you and your hubby for sharing the great tutorial. This should be a magazine feature!! That is a really cute idea. Using the drip irrigation materials was a perfect idea! What a fabulous creation, Linda...your guests must be so impressed! That is absolutely stunning! I love it, that is unique. Definitely Love this and your tutorial is great! Awesome idea, I love it!! 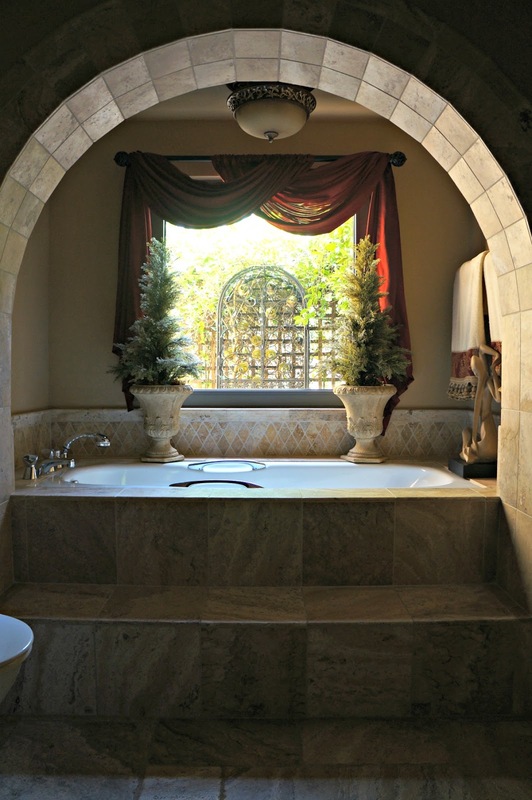 Your bathroom is amazing! I love the photo outside the window! Wow, so beautiful! 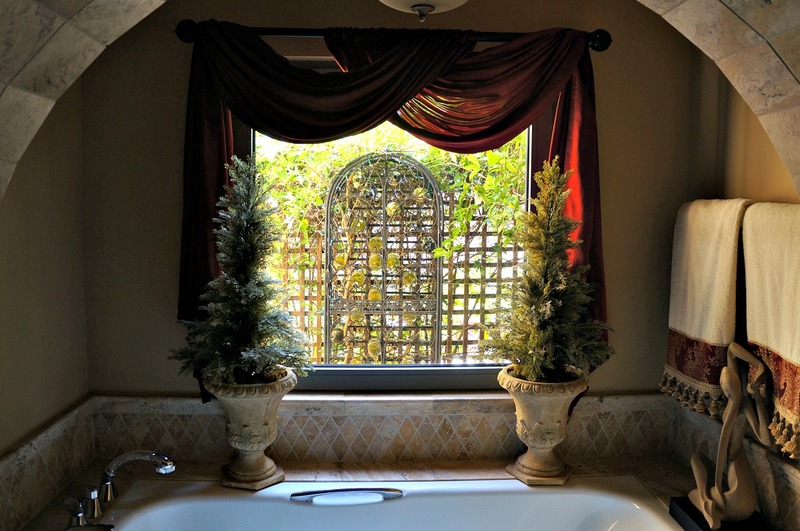 Fist, I need to move somewhere where winters are mild; second, build a guest bathroom as pretty as yours and then we could talk about that amazing fountain, lol! We are so happy you linked up with us at Thursday Favorite Things. Squeal! I love this project!! !Thank you for sharing at the Thursday Favorite Things blog hop. Watch for your feature on Monday. Wow, Linda! 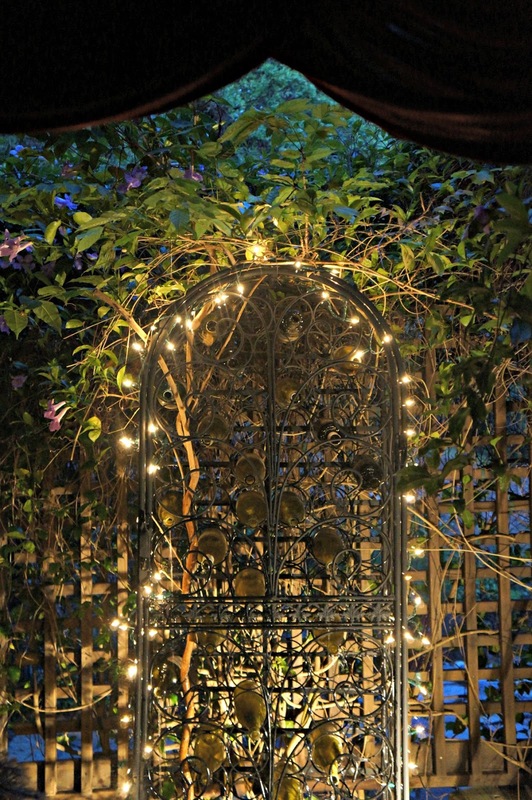 what a fabulous idea for a fountain! What a beautiful bathroom you have too. Thank you for sharing it on Masterpiece Monday. I'm going to feature it this week. Saw this at Hometalk and a comment said: "File this under "You Are Kidding Me!" Wow, this is amazing!!!!" so I'm borrowing it and applauding the splendid idea and the whimsical result. You would think nothing would shine in that already-awesome bathroom of yours. This did! Thank you for sharing the DIY process. That is so creative, simply lovely! My jaw has just dropped! I can hear it in my back yard. I had a fountain down below but have wanted one on the deck. This is stunning and so unique. I bet guests in that room feel really, really lucky! Amazing creativity. I am stunned. That is so beautiful, Linda!! You and your hubby are so talented, I must say. Your son's version is gorgeous, also. I like the one with the barrel, can you share the details on how to create? Yes, I will share it tomorrow. Helpful if you provide an email. Besides, is the biggest normal Yield for a Vineyard indicated and the Irrigation of Vineyards denied (special cases for soak slants and rough soils).